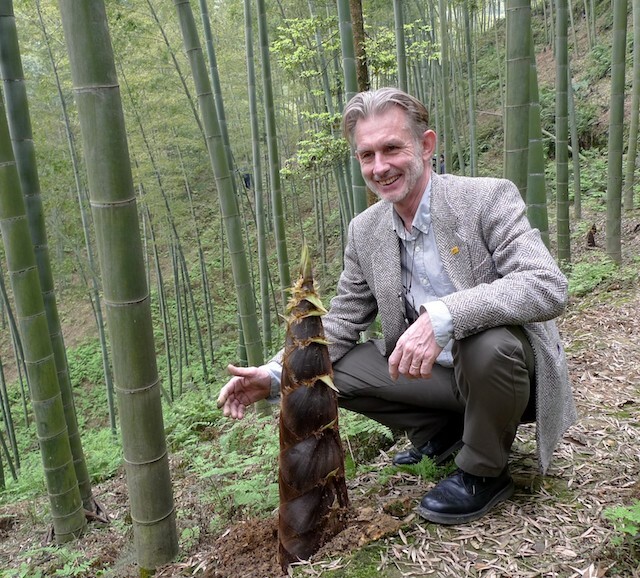 "In China, where the industry is developed, we have eight to 10 million people who make a living out of bamboo. They grow bamboo, manufacture things out of bamboo and sell bamboo poles. That has given them a livelihood and a way to build a local economy to create a future for themselves and their children," he tells IPS. Inter Press Service (IPS): What has been INBAR's Role in the South-South Cooperation agenda? I think we able to help our members more effectively and do more in the way of training and capacity building. I also hope we can develop bamboo and rattan as vehicles for sustainable development with our member countries around the world, especially in the Global South. IPS: What are the prospects for Africa's bamboo and rattan industry? DHF: The recorded statistics say that Africa has about three and half million hectares of bamboo, which excludes conservation . So, if I were to make a guess, Africa has as much bamboo as China and that means theoretically, we should have the possibility of creating an industry as large as China's in Africa. That means an industry of 30 billion dollars per a year employing 10 million people. DHF: China is the world's leading country when it comes to the production and management of bamboo so we have a lot to learn from China. Fortunately China has the financial resources that makes it easy to share that information and knowledge with our members …Looking at land management activities in Ghana, as an example, I think bamboo can really help in restoring lands that have been damaged through illegal mining activities. The value chain of furniture production is an area where Ghana already has a lot to offer. But if we can improve quality, if we can make the furniture more interesting for consumers, through skills training , then that is an area where we can really help. DHF: Two months ago Beijing hosted the China Africa Forum and we were very, very pleased to have read that the draft programme of work actually includes the development of Africa's bamboo industry. There is a paragraph that says China and Africa will work together to establish an African training centre.